For Susanta documentaries are a medium for connecting and relating. He says it eloquently in a Facebook Post, “Documentaries connect me with the people…with the soil…and with myself…with old memories… with new relations”. 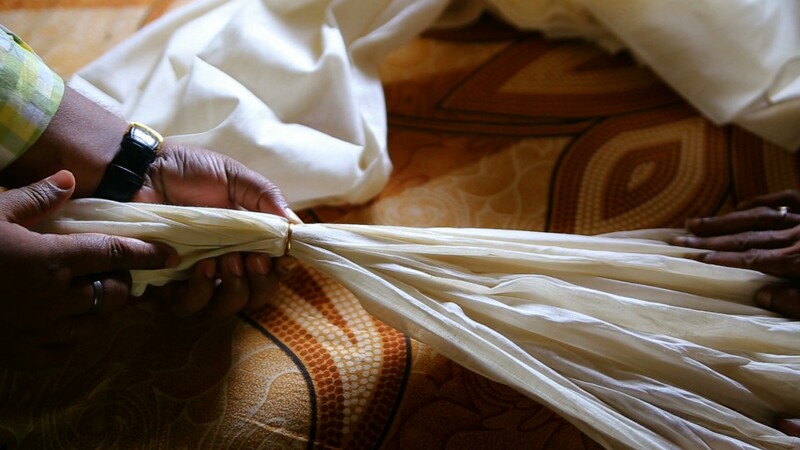 Project Muslin is a must watch if you have an interest in crafted fabrics. In centuries long past, very fine hand spun and hand woven fabrics made a name for Dhaka. Artisans had a skill that became world renowned. 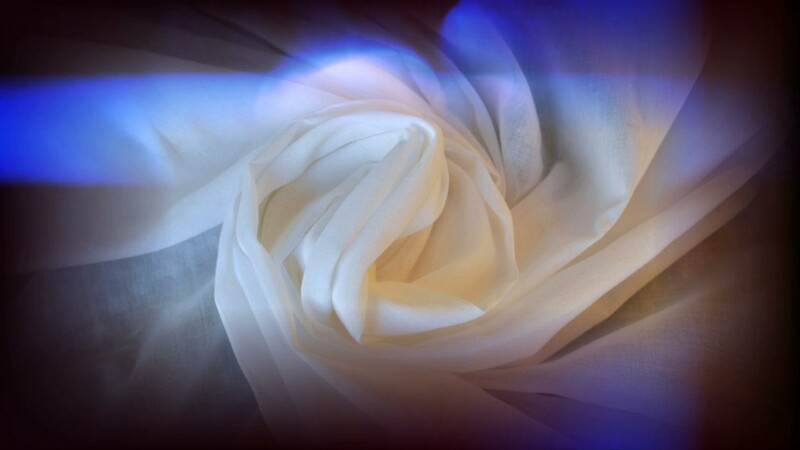 A muslin roll can be very fine. It can easily passed through a small ring. A skill that became a curse for the best of craftsmen during British rule. Fine British textiles could not compete in Dhaka muslin in price. Even in the home markets of Britain. The Raj ruthlessly destroyed the craft. Project Muslin is a delight to watch. The narrative is in Bengali (with English subtitles). The photography, direction, commentary and editing are excellent. 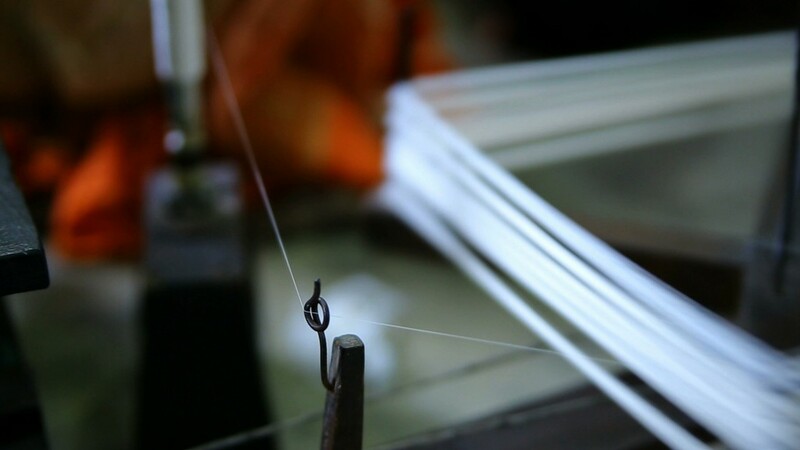 It traces the history that has shaped the evolution of this legendary textile. From its early days in ancient Indus civilisation to its heydays as a major export earner for India, turning cotton into gold. It traces the setbacks, sometimes inflicted by torture. And the revival with the advent of Gandhi’s khadi. Project muslin is now set to give it another lease of life – and perhaps a more glamorous one. The documentary then goes on to show the intricate craft and technology – the magic that synergy of artistry, technology and techniques create. This is my favorite part. If you don’t have the time to watch a relatively long documentary, you can get a glimpse of it in a short promotional clip in Bengali. Don’t worry if you don’t understand the language. Just click on the film, have fun! This is followed by details of government’s impressive and well conceived intervention. The presentation is too detailed and disrupts the natural flow. What is missing is effective voices of artisans and consumers. Striking a balance would have made the film more powerful. Room there for at least two documentaries, several video clips and loads of photographs. Project Muslin and the promotional clip are part of a larger collection on khadi. The collection includes a documentary and a clip on the Baluchori textile. 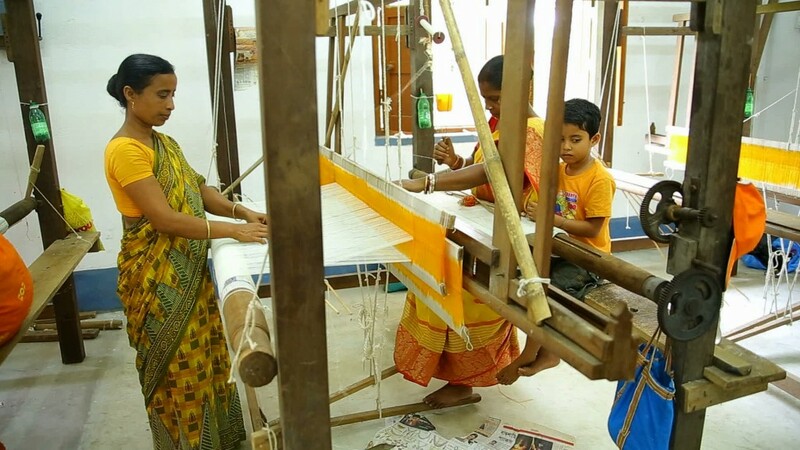 Another documentary, Dare to Dream, looks at a khadi initiative in Jhargram. The project integrates a range of processes – from cotton slivers to clothing. Documenting progress of khadi made from organic cotton. 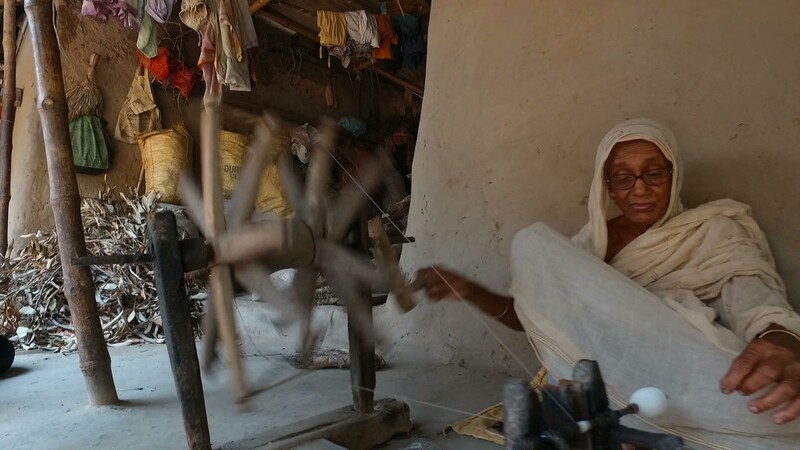 Exploring the promise of solar power in the production of khadi. Presenting khadi as the right choice for ethical fabrics and fashion. Susanta has a vast collection of documentaries on development themes in West Bengal. Documentaries where he interacts with communities managing forests and irrigation. And explores issues of urbanisation. The rest of the world is waiting to tap into his talent.